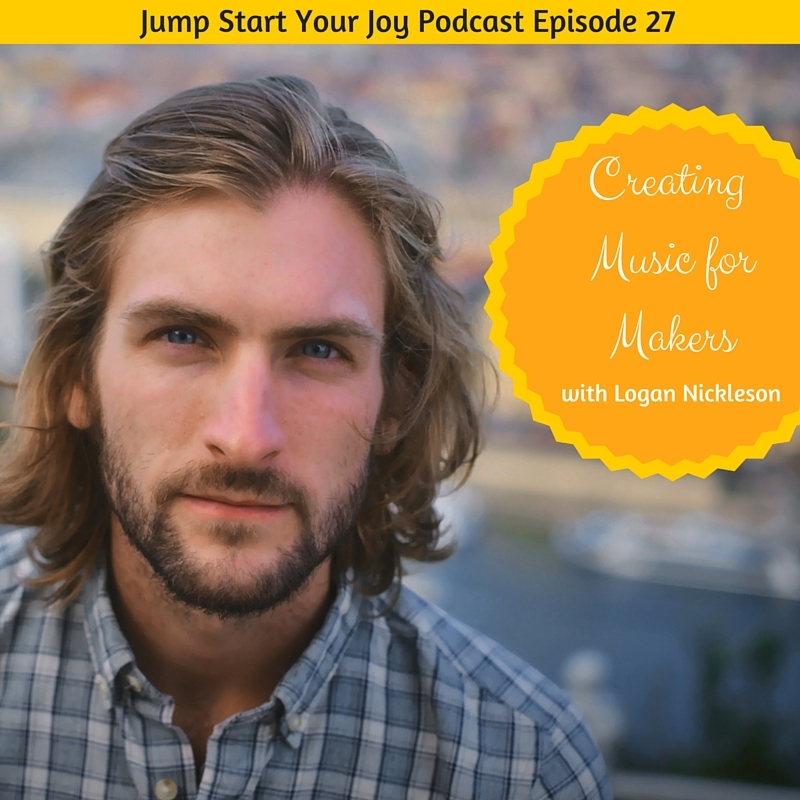 This week, I get to chat with Logan Nickleson on creating Music for Makers. 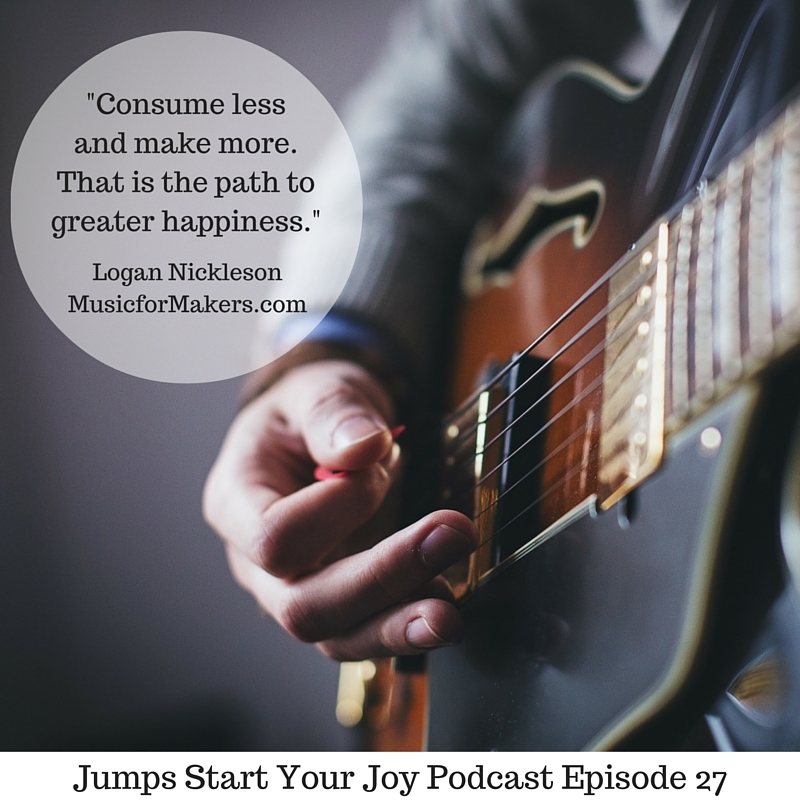 Logan is a content marketer and strategist at an ad agency during the day, and he started Music for Makers about six months ago. Noting that there were very limited choices available for royalty free music, and having a background in music himself, Logan set out to fill a gap in the industry. The result is an amazing, free, site full of original music that you can use for any project. All you do is sign up, and each week, Logan sends out a track via email. I really enjoyed speaking with Logan, and I love getting his music. I even used “Riot,” this week’s track, in my closing comments. 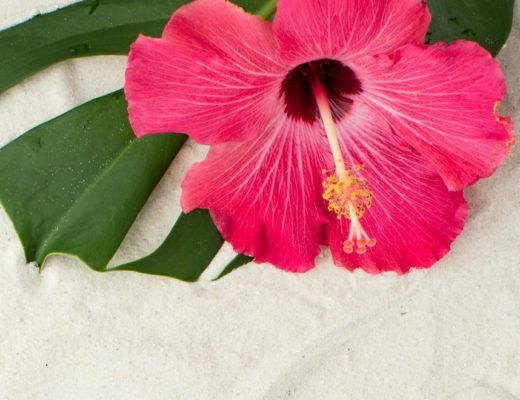 He and I had so much in common, having both launched our new ventures (his Music for Makers and my Jump Start Your Joy podcast) about six months ago. Logan has great thoughts on why you shouldn’t be afraid to fail in trying something new, as he sees everything as a big experiment. 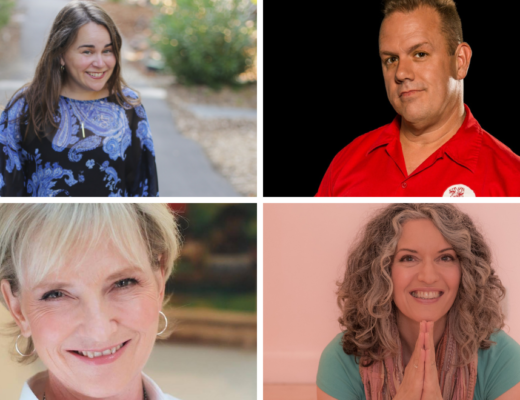 – how as kids we value creativity, but in school, there’s something that happens in the institutional learning process that seems to take the creativity away. That sounds like it’s going to be an interesting podcast. He sounds like a fascinating person. I look forward to checking his music and listening to the podcast. It is amazing what he has achieved so far. I will have to listen to this on my run over the weekend… thanks for the heads up! Sounds like a great podcast. Adding it to my to-listen list. I love the consume less quote. It’s amazing how much content is published on a daily basis. Logan is right, kids are very creative and oftentimes school takes away from their creativeness and they just do as they’re told. Failing is learning. 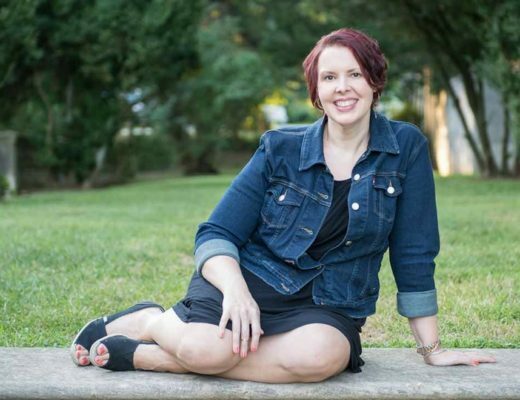 There’s nothing wrong with failing because it’s just a window into something better! It’s very motivating to read and hear about stories of people who come up with an idea and follow through to create something greater. Royalty free music is definitely beneficial for musicians and those seeking this type of music. Music has impacted my life by providing a constant motivation. This sounds very interesting. I will have to check it out.